Healthy buildings simply make a healthier planet – world class builders in the knowledge age now have the solution keys in their hands. Significant share of the energy consumed goes in or through buildings. Despite huge spending, indoor conditions in most buildings today are far from excellent. Challenges of creating healthy, comfortable and energy efficient indoor conditions can now be met with the forefront technologies by Lonix. The impact from the global perspective is significant: healthy, energy efficient buildings mean better environment and a healthier planet. We spend most of our lives indoors. Keeping our buildings heated, cooled and somewhat ventilated forms one of the biggest sources of energy costs globally: approximately 40% of the energy consumed goes in or through buildings. Despite the huge spending, indoor conditions in most of the buildings are rarely excellent. 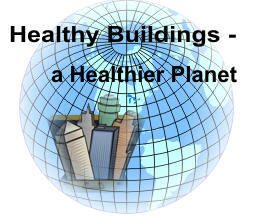 On the contrary – often our buildings are even unhealthy. One of the reasons is that most building systems today – heating, cooling, ventilation and lighting, consumption measurements, various security systems – are traditional systems, which are designed, implemented and controlled using ill advised, early industrial methods. Non uniformity and incompatibility of different building systems lead to poor indoor conditions and excessive energy consumption. It is quite normal that there is not even a way of knowing or measuring this, as there is no transparency to different building systems. The good news is that there is now a way to change this. Challenges of creating healthy, comfortable and energy efficient indoor conditions can be met with the forefront technologies by Lonix. Buildings that are healthy and energy efficient have at least one thing in common. The building systems function according to needs and situations instead of time schedules or no schedules at all. Integrated systems react to simple situations such as present/absent or home/away, adjusting themselves automatically to appropriate mode of operation and taking into account the prevailing conditions in the building. This means not only much better indoor comfort but also huge savings in energy. When the systems are additionally integrated to a Building Operating System, benefits are raised to a completely new level. Building systems become very easy to use and extremely efficient to maintain. Costs during system usage and maintenance, which are typically at least three times the investment costs, are reduced dramatically over the life cycle of the building. The Building Operating System by Lonix, named as COBA, provides full transparency to building functionality. It provides a common window to building management and security systems through a standard interface. All systems can be accessed through one graphical user interface instead of proprietary interfaces to each separate system. Easy and secure access to building functionality in a standard manner allows for convenient usage, simple maintenance and very efficient service provision. For example, professional service providers can monitor alarms, optimize the building functionality and provide remote diagnostics of all devices and systems – the possibilities are endless. The COBA Building Operating System is based on the software architecture, which was created in the standardization project “Connected Open Building Automation” (2000-2003). COBA definitions include open interfaces to all building management systems and modeling of buildings, spaces, devices, systems and users in accordance with IFC model. Standard modeling covers all building management systems, including controls of heating, cooling and ventilation, lighting control, consumption management, access control, emergency lighting, CCTV and digital video recording, burglar, humidity and fire alarms. Several Fortune 500 companies were active participants in the standardization project, which was coordinated by Lonix. Not only usage and maintenance but also design and implementation of building systems are revolutionized through COBA definitions. The Building Operating System contains all information about the facility and the conditions therein. But it also knows in detail how the systems were designed to function and how they actually do. The information flows throughout the whole process – from virtual design and simulation to implementation, usage and maintenance – in standard format with unforeseen efficiency and quality. Utilization of virtual design and simulation methods leads to tremendous improvements in design accuracy. Before one brick is built, you can see the impact of your design choices on indoor conditions and energy consumption and select accordingly. COBA is thus the foundation for truly intelligent, learning buildings. If there were a Building Operating System in every building, any energy efficiency targets would be easy to meet and to exceed. In addition, healthy indoor conditions would help avoiding nasty diseases caused by poor indoor conditions. Healthy buildings simply make a healthier planet – world class builders in the knowledge age now have the solution keys in their hands.